baby sleeping. Nothing's more important than the safety of a child as it sleeps in its bed. To help create a secure, private nursery, the experts at Hy-Lite share several tips that can bring peace-of-mind to parents. "Many house layouts call for bedrooms on the main floor," says Roger Murphy, president of Hy-Lite Products, a U.S. Block Windows Company. "Unfortunately that can be an invitation for unwanted attention from outside the home, especially in a nursery." 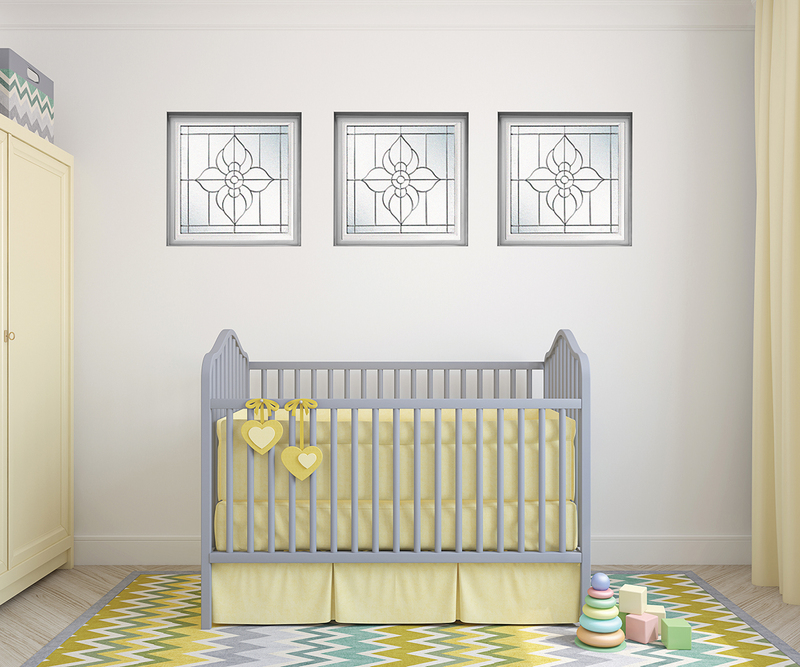 To gain privacy in the most important rooms of your home, including your child's nursery, Murphy recommends using decorative glass privacy windows. "From the outside of the home these windows present an obscure view into a room, so you won't have to worry about Peeping Toms glancing in to where your child is sleeping. "A big bonus is that these decorative windows don't need any type of window treatments to make them attractive in the room or keep out unwanted glances. Having blinds and cords on window treatments, especially in a child's room, can be extremely dangerous since children can get entangled, which can lead to choking or strangulation." "Clearly it's safer to have privacy windows with no potential for endangering a child's welfare from window blinds, cords or shades," says Murphy. "One of the only ways to achieve that --- plus still gain light and air in a room --- is with operable privacy windows. The easy crank-out awning and transom style windows can't slam shut on tiny hands, but at the same time allow adults to control the flow of air coming into the room." As a safety precaution, Murphy reminds parents to close and lock windows in the evening and when the windows are not in operation. You can also create a safer nursery when furniture is not placed near windows, thus discouraging children from climbing up and attempting to play with, or open windows. "Despite every parent's best efforts, it's impossible to watch a child 24/7," says Murphy. "That's why taking practical steps is so important in the home. Installing privacy windows in a nursery helps in many ways to reduce risks for children. However, there are other steps parents can take to make a nursery safer. The International Association for Child Safety offers a wonderful list of tips that every parent should review."